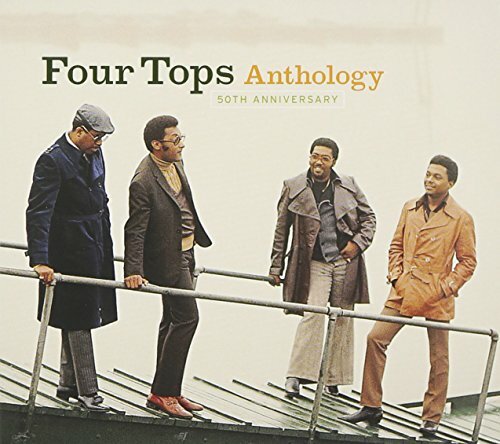 50th Anniversary Anthology [2 CD] by FOUR TOPS at WA Tunes. MPN: CDHIP0488. Hurry! Limited time offer. Offer valid only while supplies last. Back in 1954, four young high school students met at a party and ''some kind of wonderful'' drew them together to make music magic and music history. Back in 1954, four young high school students met at a party and "some kind of wonderful" drew them together to make music magic and music history. The Four Tops were born-along with decades of their cherished hits. Join the legendary group live at the Detroit Opera House along with friends and unforgettable performers like Aretha Franklin, Paul Rodgers and Mary Wilson all gathering to pay tribute and celebrate 50 years of the "Tops" with classic renditions of I Can't Help Myself; Reach Out I'll Be There; Ain't No Woman (Like the One I've Got); Bernadette; It's the Same Old Song; Keeper of the Castle; Baby I Need Your Loving; Are You Man Enough; Still Water (Love); 7 Rooms of Gloom; Walk Away Renee; River Deep-Mountain High (with the Supremes), and more, on this anniversary concert DVD with sublime remastered sound! If you have any questions about this product by FOUR TOPS, contact us by completing and submitting the form below. If you are looking for a specif part number, please include it with your message.